In the late 1960’s Roger Earl & Lonesome Dave Peverett first toured America as members of the seminal British band “Savoy Brown”. 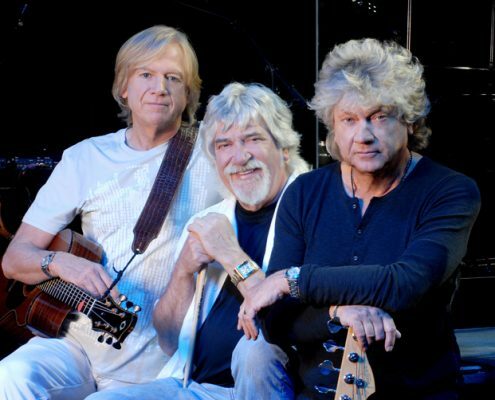 Together with guitarist Kim Simmonds, “Savoy Brown” was on the cutting edge of the emerging British blues-rock scene, and they influenced countless musicians on both sides of the “pond”. 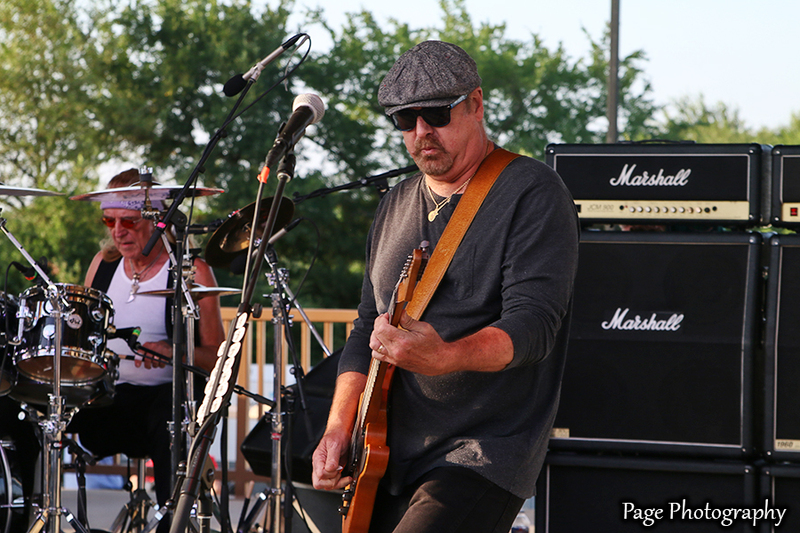 In 1971, wanting to give a more Rock ‘n Roll flavor to the blues-boogie music they were playing with “Savoy”, Dave & Roger enlisted lead/slide guitarist Rod Price & bassist Tony Stevens, formed a new band, “Foghat”, and the rest is part of Rock and Roll history. Signed by Albert Grossman to Bearsville Records in 1971, the band recorded their first self-titled LP “Foghat” and began touring relentlessly for the next 14 years. 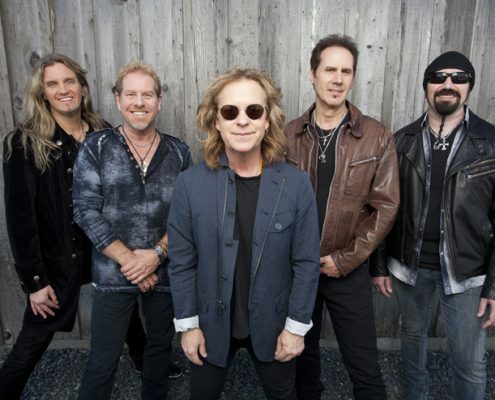 Their hard work has thus far been rewarded with seven Gold records, one Platinum record “Fool For The City” (1975), and one Double-Platinum record “Foghat Live” (1977). The “Fool For The City” album contained Foghat’s trademark Top 40 hit song “Slow Ride” and cemented their place as one of the world’s top rock acts. 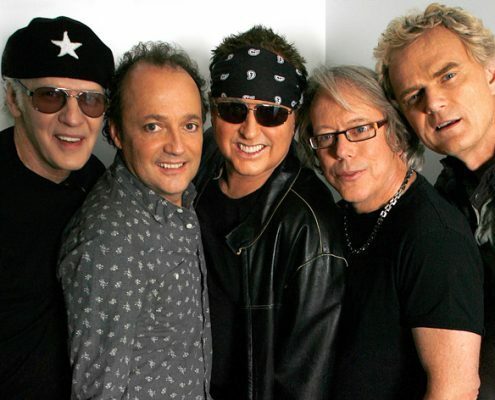 They continued to hit the charts in the 1970’s with singles such as “Fool For The City”, “Drivin’ Wheel”, “I Just Wanna Make Love To You”, “I’ll Be Standing By”, “Stone Blue”, “Third Time Lucky” and “Somebody’s Been Sleeping In My Bed”… many of which are still classic rock radio staples. Foghat toured and recorded non-stop into the mid-eighties. Tony Stevens had left the band in 1974 to pursue other interests, and was replaced by bassist Craig MacGregor (with a short stint with Nick Jameson in between). Rod Price departed the band in 1980. In 1985 Lonesome Dave returned to England for a well-deserved break from touring, while Roger remained in the US and continued to carry the Foghat flag with non-stop touring with various new musicians and Foghat alumni. In 1989 Lonesome Dave resumed touring in the states with future member Bryan Bassett. But it is 1994 that marks the return of Foghat to the world stage, when the original members reunite for the recording of “Return of the Boogie Men”. Being back on the road, non-stop, once again yielded a new live CD for the band titled “Road Cases”, released in 1997. In 1998, Lonesome Dave is diagnosed with cancer. He battles it with amazing strength and courage. He decides he would like to tour again in 1999. 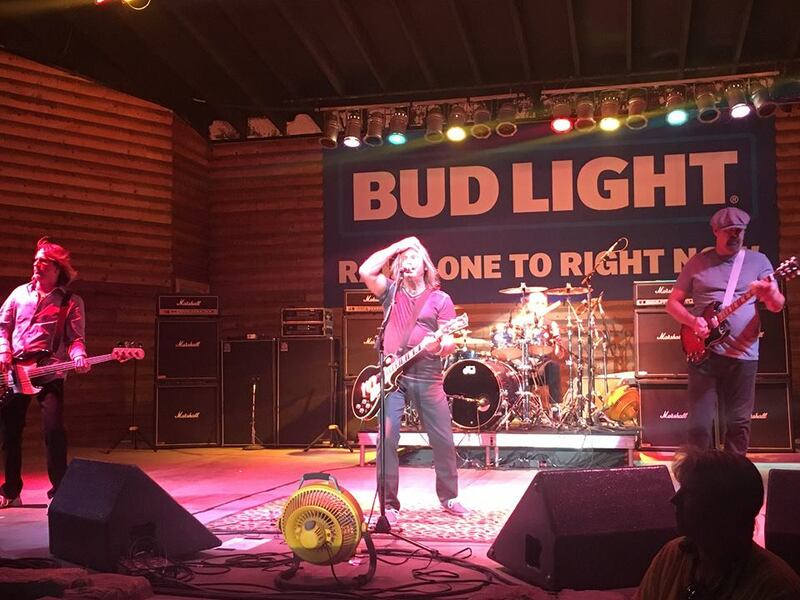 With Rod Price’s decision not to resume touring, Dave calls his old friend Bryan Bassett, who is touring with “Molly Hatchet” and asks him to join the band. Lonesome Dave, one of the all time great rock ‘n rollers, and a consummate professional, performs flawlessly night after night, doing what he loved doing best…while still undergoing chemotherapy. The tour was cut short in the fall of 1999, when Dave returns home. He sadly passes away on February 7, 2000. Family and friends are devastated. One of rock ‘n roll’s legendary performers is mourned by thousands of fans. As all who knew and loved Dave tried to adjust to this devastating loss, the band had to decide what to do. To continue after this great loss was the question. Even Dave’s encouragement to keep the band together and to ‘Keep on Rockin’ was not enough to convince the band that they should go on. After much soul searching and support from the fans, Roger began to hesitantly review some tapes of singers. None of them seemed to have that blend of blues and rock so important to the band’s sound. Becoming quite discouraged about the prospect of finding a new singer, Roger happened to recall seeing a “Humble Pie” show with Dave…they wanted to see who was singing their mate Stevie Marriott’s songs. They were both pleasantly surprised and impressed! 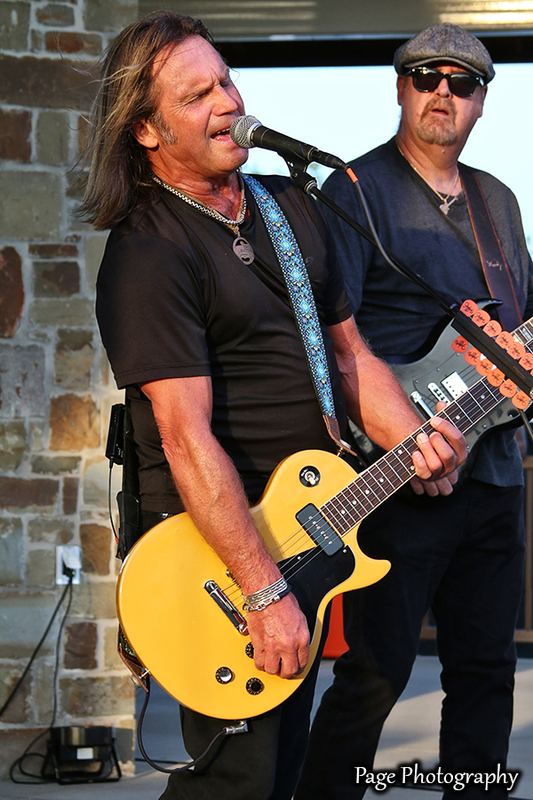 The singer was former “Ted Nugent” and “Victory” vocalist Charlie Huhn. Roger contacted Charlie and a rehearsal was set up at SIR in New York. After just a few hours of jamming, the chemistry was undeniable and all agreed that this was the person to join the band and take it into the future. 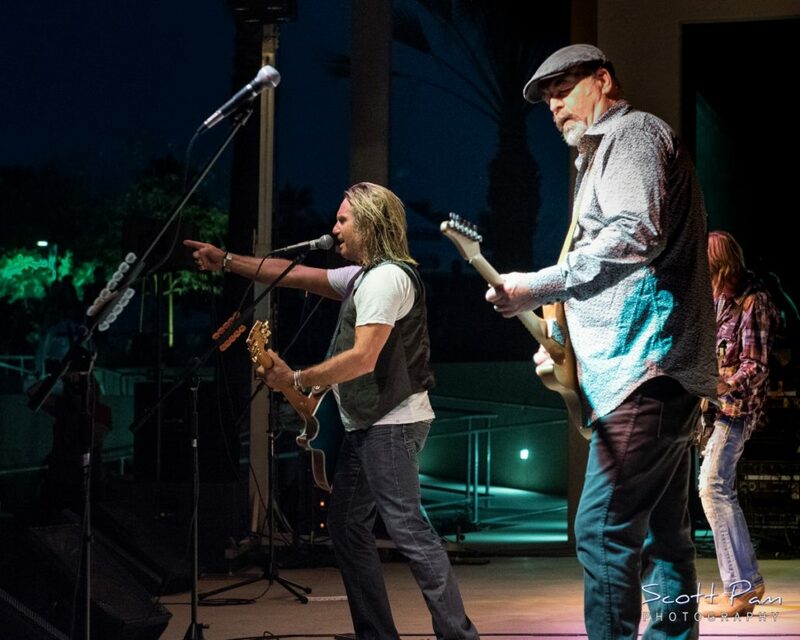 Charlie’s vocal ability and guitar playing fit the music perfectly and his high-energy stage presence provides what is an essential ingredient to a “Foghat” show. 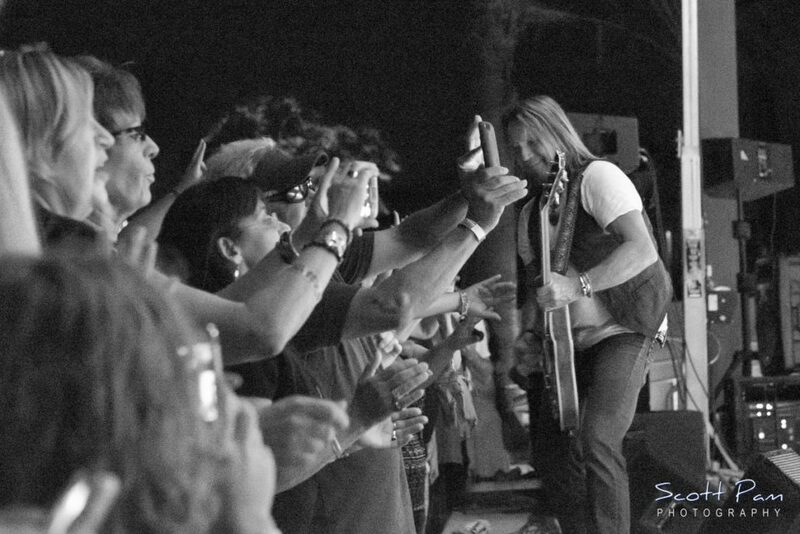 The new line-up toured extensively doing what they love to do and do best…taking their music to the fans. 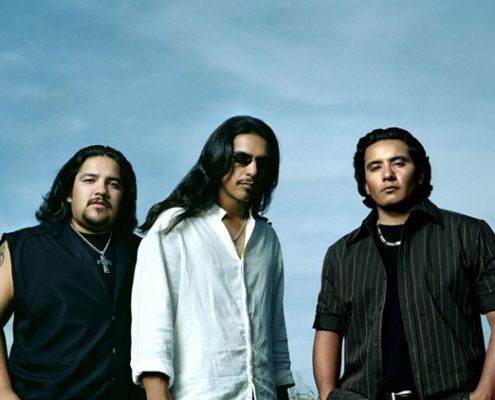 The camaraderie and fun was apparent in their live performances and after two solid years of touring the band entered the studio to write and record a new studio album called “Family Joules”, released in 2003 which again received great reviews. If anyone ever dared to ask if Foghat were still relevant, surely the track “Mumbo Jumbo” gave a resounding YES! “FOGHAT LIVE II” , a double live CD was released in 2007. It was recorded in 2005 & 2007 to celebrate the 30th Anniversary of the original ‘Foghat LIVE’, and the reviews were exceptional! This opened up a new chapter for Foghat. The band was as good as ever and carrying on their tradition of touring and having a great time. While promoting “LIVE II”, the band was invited to record a live session for DJ Mark Klein’s weekly ‘Long Island Blues Warehouse Radio Show’ which was recorded to 2 track. Surprisingly it ended up sounding so good that they ended up releasing it as “Live at the Blues Warehouse” in 2009 and again this CD got rave reviews! The last few years has Foghat reaching a whole new generation of fans largely as a result of their incessant touring and also due to its songs appearing on such popular home video games as Guitar Hero III, numerous movies such as ‘Dazed & Confused’, ‘Wild Hogs’, ‘Bottle Shock’ and ‘Halloween II’, numerous TV shows and ads such as Honda among others. 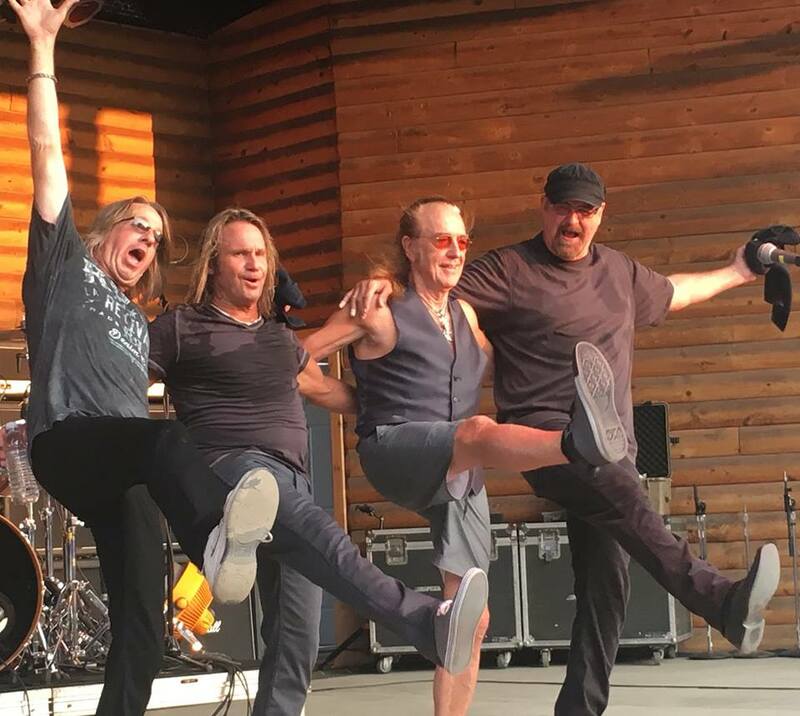 In 2008 Foghat launched their own brand of wine called “FOGHAT CELLARS” in conjunction with well known winemaker Steve Rasmussen. Their first offering was a 2005 Cabernet Sauvignon from Paso Robles which again got rave reviews! June 2010 announces the release of their second offering, a delicious Chardonnay from Santa Maria Valley. Wine & music, what a combination. Their latest project, a blues CD called “LAST TRAIN HOME” (release date June 15, 2010) is the culmination of a dream shared by Roger Earl and Lonesome Dave. So with LAST TRAIN HOME Foghat comes full circle, with an offering that mixes some Foghat Blues stamped originals with many blues gems. This album is guaranteed to become a classic. 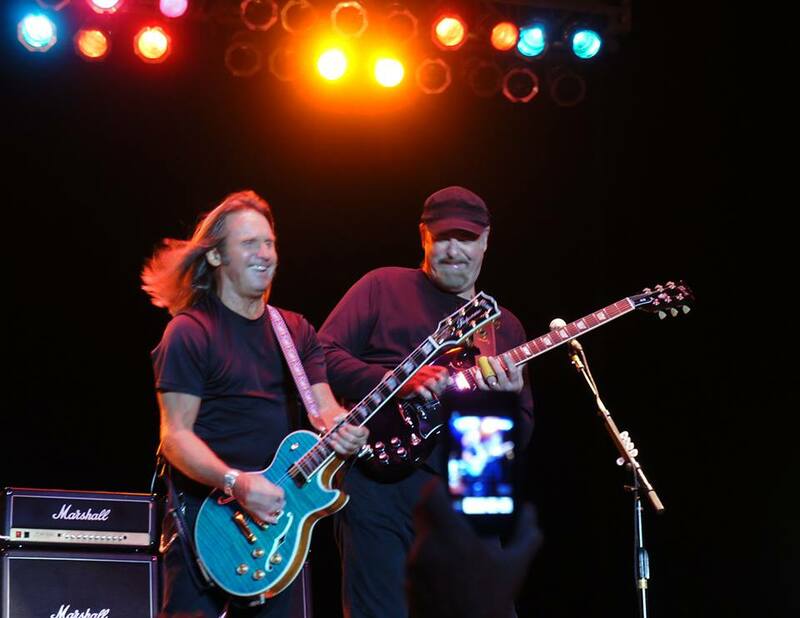 Foghat has never stopped touring and recording. 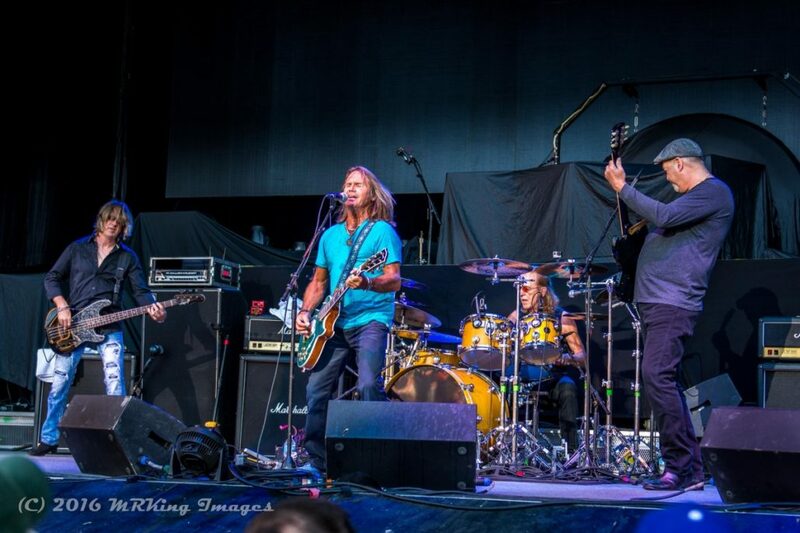 The 2010 version of Foghat comprised of Roger Earl, Craig MacGregor, Charlie Huhn, and Bryan Bassett has been together for 10 years since the passing of Lonesome Dave. They continue to tour relentlessly because they just love to play and after every show they go out to meet their fans. 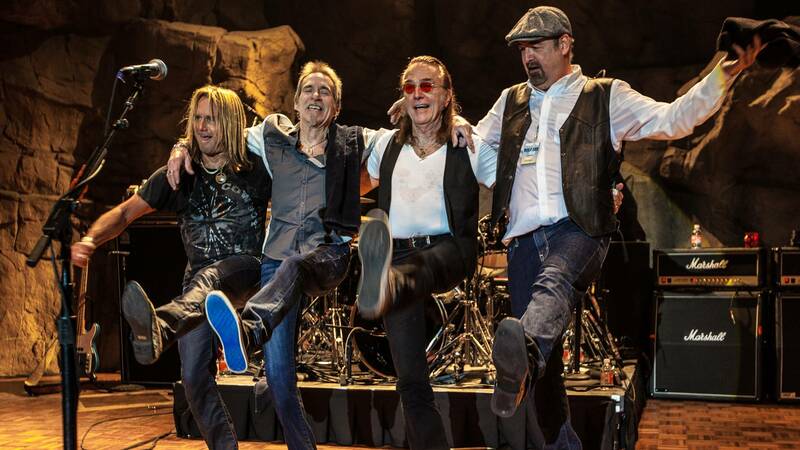 They still epitomize that classic blues-rock slide guitar sound and that is what Foghat is all about. IT’S ABOUT THE MUSIC!